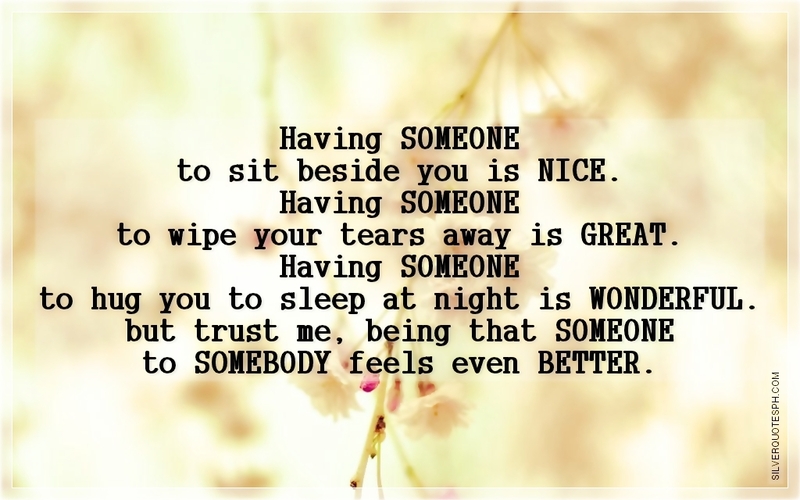 Having SOMEONE to sit beside you is NICE. Having SOMEONE to wipe your tears away is GREAT. Having SOMEONE to hug you to sleep at night is WONDERFUL. but trust me, being that SOMEONE to S0MEBODY feels even BETTER.